The other day I saw a workshop advertised called "Dzogchen without Buddhism". I have, over the years seen a number of suggestions that Dzogchen practitioners can dispense with Buddhism, or that it is not essential to be a Buddhist to practice Dzogchen. I would like a spend a little time examining that claim. The first question I am led to ask is this: just what is a Buddhist? At the most basic level a Buddhist is someone who believes in the awakening of a fellow named Gautama (the son of a petty tribal chief of the Śākya clan on northern plains of India, also known as "The Buddha"), and wishes to follow that path. Excellent response if you ask me. Well written. I enjoyed this post as well. The workshop is held by Jim Valby, one of ChNN main translators. The subject sure surprised me. I don't know what Jim has to say about this but I am agreeing with Namdrol's blog post. Dzogchen without Buddhism (or Bon) becomes a sad thing very fast. heart wrote: The workshop is held by Jim Valby, one of ChNN main translators. The subject sure surprised me. I don't know what Jim has to say about this but I am agreeing with Namdrol's blog post. Dzogchen without Buddhism (or Bon) becomes a sad thing very fast. I like Malcolm's blog post. But, now that I know this workshop is held by Jim Valby I wonder if he jumped the gun. I certainly have haha. knowledge and wisdom itself is impartial, it is how one conducts oneself with the knowledge that manifests partiality. if it manifests partiality, then one is operating in dualality, and not from any realization. to continue to cast dispersions upon others, means one wishes to deflect dispersions from oneself,it is at its dualistic base, a reputation to seed in the minds of others. if one needs to seed doubts, then it follows one is a peddler of doubts. Hi, are you sure it is Jim Valbys workshop? Can you post a link? Thank you. mmm wrote: Hi, are you sure it is Jim Valbys workshop? Can you post a link? Thank you. Though I'm sure we're all aware from previous comments that Malcolm and Jim are friends and has nothing but high praise for him. The idea of a yana is a Buddhist (or possibly a Bon) idea. There are no yanas if Dzogchen stand by it self. 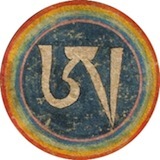 The Kunjed Gyalpo is not a Dzogchen text, since it refer to the yanas, and so on. A really difficult situation. "everyone who so wishes can achieve that same result,"
Nature, not cultivate like by high intelligent. Misperception, one can even be obscured through expensive elaborations, running far away from home, lost in mental constructs. Bön is meant? Bön nature is in duality or taint? How can primordial purity be different other than in my own misperception-judgement by duality. Just thinking. Maybe there is a correct by judgement primordial purity-nature for Buddhism and one for Bön. Hi, what is pov? Have no doubt all yanas are perfect. Dzogchen is the culmination of all. Still to turn back to other views to dig is no help at all, but non of them can be rejected, so is me "powerfully" said. Ha, wiki says pov = point of view. Whether we try to get some clarifications, some "views", share ours about. I suppose that all of us try to do in his her possiblities. by that no any need to cling to own view in divisive speech, but in total openess. As Dzogchen is our nature, it appaered that own awareness is the key. Last edited by muni on Sat Mar 26, 2011 8:19 pm, edited 1 time in total. I think the subject description recently provided shows something like this to be the case. - What would Buddhism without Dzogchen ? I think I can understand Namdrol's critique of a proposal such as practicing Dzogchen without having assimilated fundamental teachings that, AFAIK, are only transmitted within Buddhist tradition. I suppose that approaching Dzogchen while coming from a another framework or mindset, theistic or atheistic, even agnostic, without some serious instruction and contemplation of emptiness, and emptiness of emptiness, from a Middle Way standing point, even if mainly apophatic, may lead one astray by several reasons. One may end up thinking about the primordial state as some sort of divinity, especially when dealing with the nature, manifestation, and the energy aspect, if the essence aspect of the base, emptiness, is not at least intellectually approached to avoid most common misconceptions. To carry on such contemplation means one need a set of conditions, internal and external if you will, that aren't easy to find, if even possible, outside the Buddhist tradition, as they relate to both theory and method. My point is, if you practice Dzogchen, you are a automatically a buddhist, whether labeling yourself that way or not. The question is, can you really practice Dzogchen without being a Buddhist? If by on hand Dzogchen can't be confined to ani "ism" (neither does Buddhadharma), to any specific method or teacher, the fact remains that in order to practice it, we need to learn it. When we talk about learning, about practicing and so on, we are talking at the level of the relative truth. That's were we start: we use illusion to remove the veils of illusion. However, at the level of relative truth, we need formulas that work, relatively true, not untrue. If I believe there is a God all mighty and start working from there, if I believe it will be mainly through prayer and renunciation that avidya will be cut through, I'm set for disaster. From an absolute point of view, it makes no difference what sort of relative true you choose to believe in, but from our unenlightened perspective it does. We need a raft that floats, able to take us to the other shore, even if only to abandon the raft and realize there were never two shores or even a real raft to start with. But we only discover that after crossing over the river. Otherwise we go rock bottom. This is where Namdrol is coming from, I think. If one overlooks the teachings/practice of "standard Buddhadharma", one goes completely unprepared to the practice of Dzogchen. Such person may end up falling prey to the "emptiness sickness", mixing absolute and relative and acting like a fool, much in contrary to Guru Rinpoche's "action finer than grain of tsampa" while his view was vast as the sky. That is perhaps Dzogchen Lite, meaning, useless and maybe even dangerous. However, maybe J. Valby has a point if we read him in a specific way. Many westerners approach Buddhadharma only to be sucked to a grinding mill of practices, rituals and beliefs alien to their culture, not progressing in the path by many reasons, one of them being lack of foundational meditative training. They receive ngöndro, HYT empowerments and so on without due preparation and lose their north in the middle of such paraphernalia while lacking foundation. There are many reasons for this, fault lying both in teachers and students as well. If some want to attract people by giving empowerments, others will only go to the teachings if they can collect them. It took me several years to understand why a certain lama kept his students practicing shine for so long, but one day I think I got it and now agree with his method (that surely is not the only valid one). Maybe Jim Valby wants to transmit the idea that for the practice of Dzogchen one doesn't need to go through some sort of formal Buddhist conditioning (some times more behavioral than mind related), rather specific and a adherent to a set of ideas pertaing to a certain school or sect, set of rituals and so on. The outer shell, perhaps, is what he dispenses with. Nevertheless I very much doubt he dismisses all sort of Buddhist concepts, methods and such as fundamental aspects to grasp if one is serious about practicing Dzogchen. In a way I think both Namdrol and J. Valby point two faces of the same coin: to practice Dzogchen one needs to practice the Buddhadharma (whatever label we decide to put it, it will be the way of the Tathagata), yet Dzogchen doesn't depend on the external, institutional, aspects that usually come attached to such practice. That's the way I see it. Your feedback will be appreciated. nice to hear from you again dechen!